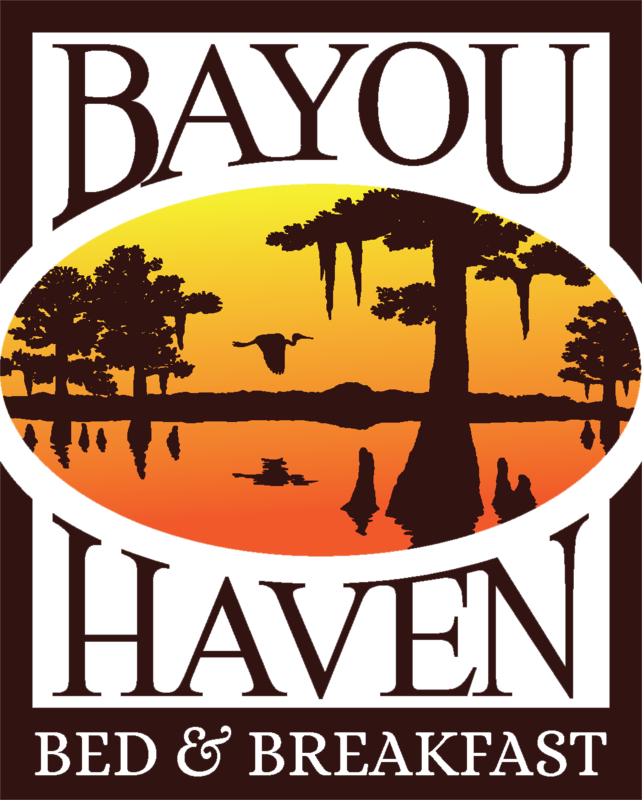 Bayou Haven B&B often serves something delicious that you just have to leave with Whether by a small take away, or in kindly asking for the recipe. Like most people who have pride in the food they cook, we hold our recipes close to the heart. However, we do like to share some of those favorites that are cooked and enjoyed every now and then. So, by request....we present our Pecan Pie. Usually served in the fall (yet Southerners love it all year long), this gives you time to practice with the recipe if you aren't a baker. More recipes to come in the near future. 24 Whole pecans for the top. Beat eggs, add sugar, salt & mix. Add syrups & butter, mix. Add pecans. Bake for 1 hour. Place whole pecans on top in decorative fashion. Cool completely before cutting.